The International Business Training Association (IBTA) takes pride in helping you and your business thrive in the changing industries that make up our global economy. Our Certified Business Professional (CBP) certifications and courses are designed to assist you in gaining the necessary credentials to help you meet and exceed current international business standards. Tens of thousands of business professionals around the world have been certified by IBTA on the global standard for essential business skills, which CBP provides. IBTA has been developing, establishing, and maintaining those business standards since 2003, and its certifications are becoming internationally recognized. Learn more about the benefits and importance of having a CBP certification. Getting a business certification from us is very easy. Just follow these steps. Attend official courses from a CBP Authorized Training Partner (CBP ATP), and possess course completion certificates. Pass the course-specific, multiple-choice, scenario-based business certification exam (the CBP Certification Exam) at an IBTA Authorized Training Partner location. Upon completion of these requirements, the candidate will be mailed his or her official CBP certificate from the International Business Training Association (IBTA) within 4 to 6 weeks. Please note that all CBP Vouchers expire one (1) year after they have been purchased by the Authorized Training Partner. Also, there are no refunds or exchanges available from, or permitted by, IBTA for CBP Vouchers. The examination and its format may be changed without notice. What does CBP have to offer? CBP offers the employer a simple and reliable program that can be integrated into recruitment and staffing processes, increasing skilled workforce at reduced time and cost for the employer. What qualifies CBP ATPs to offer this professional certification? The CBP ATP committee requires that ATPs express their commitment to quality instruction and program delivery. Upon meeting these requirements, ATPs are then empowered to offer the CBP program. Is CBP certification for me? Yes, because hands-on training and experience lead to better jobs and better on-the-job performance. Yes, as many professional pursue their careers in the workplace, there is a need to differentiate between "ordinary employment seekers" and "certified professionals", who are in pursuit of excellence. Yes. 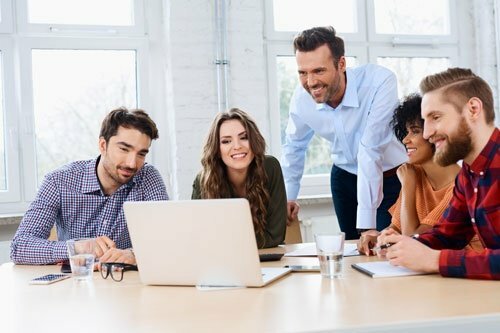 Candidates who demonstrate technical skills and business skills with a widely recognized certification are on the path to excellence and professional development. Yes. Industry standards, business ethics, and certification of professionals become critical to ensuring higher performance standards are achieved in the workplace. There are two steps to attaining the CBP certification. Attend the official courses at a CBP Authorized Training Partner, (CBP ATP) and possess course completion certificates. Click here to request a training location near you. After completing the official courses, the candidate must pass a multiple-choice scenario-based certification exam, ‘the CBP certification exam’, at an Authorized Training Partner. How do I sign up for the Certification exam? Please contact your CBP Authorized Training Provider to schedule your exam. How long is a CBP Exam Voucher valid? A voucher is valid for use up to one (1) year after the voucher is purchased by the CBP Authorized Training Partner (ATP). What happens on the day I take my exam? Present two forms of identification; at least one must include a photograph. Pay your exam fee if it is still due. Leave any study materials, calculators, cell phones, pagers, or other items with the exam center administrator. CBP certification exams are closed-book, proctored examinations. Take the computer-based certification examination. The examination may include brief surveys, which will not count against your examination time. You can also take a brief tutorial session if you want assistance using the exam software. Achieve the passing score requirements for the exam. Four to six weeks after passing all the exams required for your CBP job role (for Professional or Master level certification exams), you will receive your certificate of completion. CBP exams are not written exams. Instead, the exams are performance-based. Using the real-life scenarios, exam candidates are asked to perform a series of tasks to clearly demonstrate their skills. Can I take an exam more than once? There is no limit on the number of times a given CBP exam can be taken. However, the same fee applies to each exam. If I don't pass an exam, can I get a refund? Refunds are not available for failing exam scores or missed exam appointments. It pays to take extra steps to continuously develop your knowledge and business competencies. Develop your skills together with other professionals by joining business training programs at International Business Training Association (IBTA). We are more than happy to help you gain the skills you require to be a step closer to your career goals. For inquiries, just call our phone number or reach us through this website. We hope to hear from you soon.